When it comes to finding the lowest mortgage rates, borrowers in Ontario have two choices. They can either call around to their favourite banks, asking about rates and filling out applications, or they can call a mortgage broker. Many people choose to utilize the services of a mortgage broker if they aren’t set on a single company for a mortgage and want the lowest possible mortgage rates. A mortgage broker will take your information, including your income, debts, and credit scores and then work to get you the best deal possible on a mortgage. By utilizing a network of connections with individual banks and inside knowledge about requirements and lending policies, a mortgage broker can get you a better deal with a lender than you would be able to get for yourself. Many people like using a mortgage broker because it takes the work out of finding a mortgage. The broker does all of the legwork, putting in applications, negotiating rates, looking at amortization schedules, and more. They then present the various options to the borrowers and can explain any details or nuances between loans so the borrower can make an informed decision. The mortgage broker usually gets a commission or kick-back for the deal. The borrower may wind up paying extra in closing costs to make up for the broker’s fees, or they may have a slightly higher interest rate than they would if they had gone to the bank directly. Most borrowers agree that the increased cost is worth the time savings. Sometimes, brokers can get lower rates than are available to individual borrowers. The brokers have strong working relationships with banks and because of the volume of clients brought in, they are often extended special lower rates for their clients. Because of this, using a mortgage broker is often the only way to have access to the lowest mortgage rates. When choosing a broker to help you secure a mortgage, make sure you pick someone with a lot of experience. The types of relationships needed to get special rates can only be made through years of working with a particular lender, so by choosing a seasoned mortgage broker, you’ll have the best odds of getting special rates. 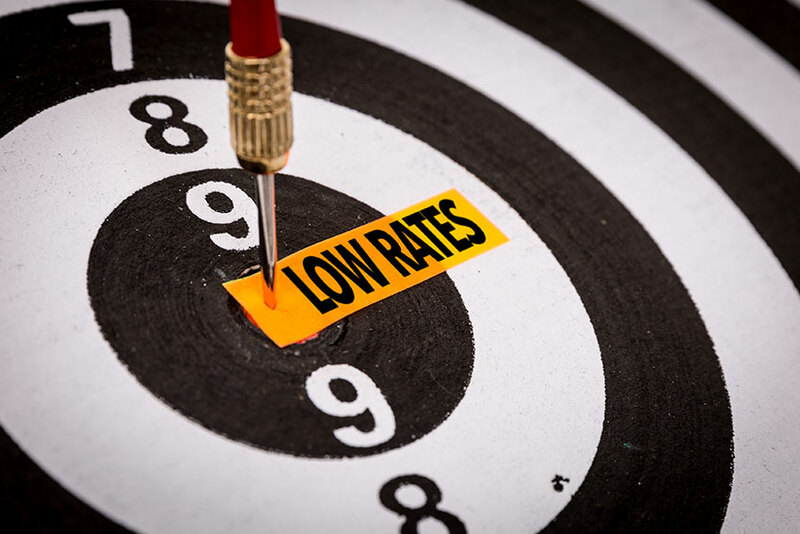 If you’re interested in seeing what types of rates are available to you, click the link below to get the lowest mortgage rates for Ontario residents.